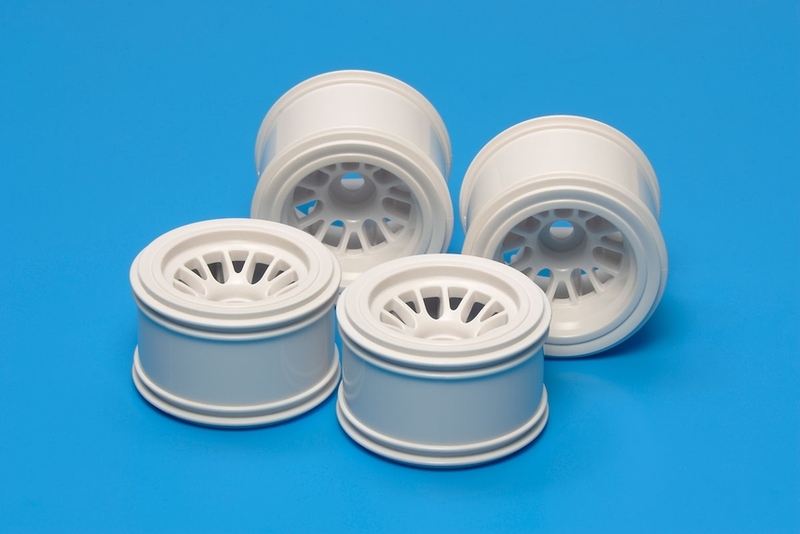 These are F104 mesh wheels in white. The wheels are designed to fit Tamiya F104 rubber tires that use a rib to secure the tire to the wheel. For use with rubber tires.